The official kick off for holiday shopping isn't until Friday, but we know you want to be prepared. We have just a few quick tips to help you be ahead of the game and on your toes while doing your year-end shopping. You never know until you ask. Often sales associates know the untold story. They know what the limits are, but keep them secret if left unpushed. 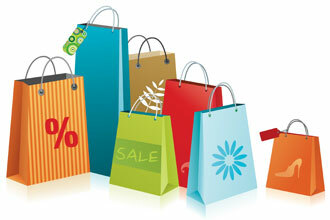 Many retailers have promotions they do not advertise. How would you know about them if you don't ask? It's totally worth it. Smartphones put the world at our fingertips. There is a plethora of apps to help shoppers find the best deals. You can use your phone to scan barcodes and find the best deals in your area. Why wouldn't you? Sometimes, Black Friday, Cyber Monday, and other holiday deals are simply too good to be true. When you see such a great deal, check for feedback from people who've taken advantage--or maybe even been taken advantage of-- before you spend the money. This is an extension of the tip above. Amazing deals are just not always what they appear to be. Sometimes, retailers mark up their prices to then mark them down--making consumers think they've saved. Also, retailers can attach strings or other restrictions on promotions, making them more or less than what they appear. Check and check again when it comes to the deals you'd want to jump on the most. Know how your favorite stores and brands handle sales. If something seems contrary, it probably is. You don't want to lose money when a little research would have helped. Here are just some of our small business faves. Share yours in the Comments section and support your local economy. You might want to make note of some of these legal shopping tips, too!